Maladies come in many different shapes and sizes. Any kind of physical ailment found in living things can be referred to as a malady. Thus, next time you come down with a cold, you could assure your loved ones, "Doubtless, a little rest will soon rid me of this malady." This is a perfectly correct usage of the word, but it is slightly more common for malady to be used to refer to more serious, chronic afflictions. For example, you might remark, "Too many women suffer from the painful malady of breast cancer." Malady need not be applied exclusively to bodily disease, however. Rather, a malady can refer to a "disease" in a society or in any other entity as well. For example, a campaigning senator might declare, "I will find a cure for the malady of poverty which persists in our midst!" Here, the senator is, rather ambitiously, promising to fix a serious problem (i.e. poverty) in society. Similarly, Pastor Samuels might confide to you, "This habit of gossiping is a real malady in my congregation!" Pastor Samuels is identifying gossip as a harmful flaw in his church. Just as a cold distorts the proper functioning of your body, so poverty distorts the ideal functioning of a society and gossip mars the well-being of a church. Similarly, a malady in an individual person is not always strictly physical. Emotional or spiritual crises in an individual might be described as maladies as well. For instance, if high stress were to cause your friend Barney to lose his temper frequently, you might confide in another close friend, "I hope Barney is able to work through this malady of anger and frustration quickly!" The frustration is a distortion in Barney's proper emotional functioning, just as gossip was a distortion in the proper functioning of Pastor Samuel's church; and both of these distortions are maladies. Example: Aunt Lois suffers from the painful malady of osteoarthritis. Example: "The gravest maladies disrupting our nation are not economic or political but spiritual!" declared the religious speaker. Example: Frank has sought guidance from many different religions to try to rectify his spiritual malady of guilt. Example: With fixation on human suffering in most of her books, some may say Jhumpa Lahiri is herself an "interpreter of maladies". Malady entered English in the late 13th century. 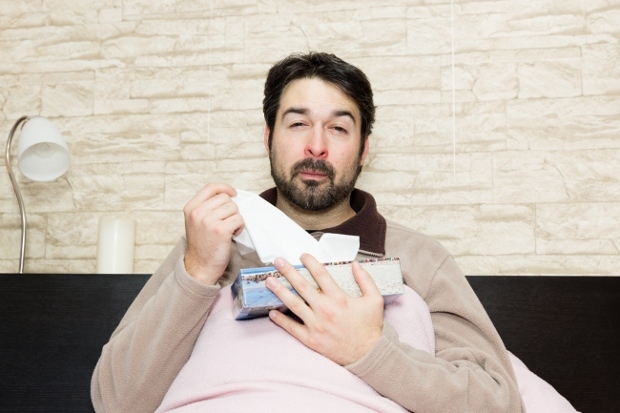 It derives directly from the Old French noun maladie, referring to a sickness or a disease, and maladie stems in turn from the adjective malade, meaning "ill." These French words come from the Latin phrase male habitus, which means "feeling poorly." Male habitus is composed of male, meaning "badly," and habitus, the past participle of habere which means "to have" or "to hold." Hitherto his patients had helped to lighten his task; they gladly put themselves in his hands. For the first time the doctor felt they were keeping aloof, wrapping themselves up in their malady with a sort of bemused hostility. Here, Camus describes how Dr. Rieux's patients suffering from the malady, that is the Plague, begin to irrationally distrust even Dr. Rieux himself. We are all prone to the malady of the introvert who, with the manifold spectacle of the world spread out before him, turns away and gazes only upon the emptiness within. But let us not imagine there is anything grand about the introvert's unhappiness. Here, Russell describes what he believes to be an emotional flaw which causes people to fixate on the emptiness within themselves instead of on the fullness of the world outside themselves. It always is a tragedy. Bring out the linguist in you! What is your own interpretation of malady. Did you use malady in a game? Provide an example sentence or a literary quote. Word of the day: Qi - From traditional Chinese culture, the quintessential, intrinsic force which flows continuously through all things.